The sixth season finale of Mad Men offered glimpses of hope at many turns, possibilities of a fresh start if only the characters could “head out Californee way,” before the hopes of a happier future are dashed once again—except for maybe Ted Choaugh. Don, Megan, Ted, and Stan all have eyes on California throughout the finale. 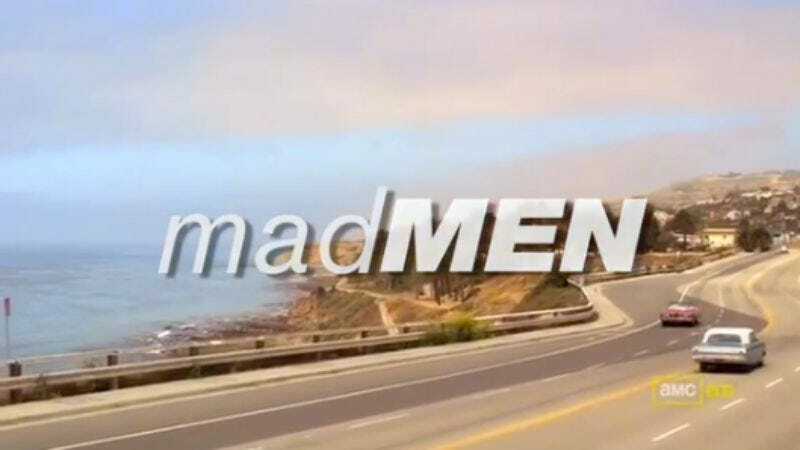 And in that fantasy world where all of them make it out to the west coast for a calmer, frontier atmosphere, the Mad Men credits would take on a much different vibe. One similar to, say, The O.C., with Don’s hair whipping in the breeze, smiles all around, and Phantom Planet’s “California” blasting on the soundtrack. Vulture produced a credits mash-up of the shows, and the result is the tonal antithesis of where Mad Men has spiraled to now.